If you're interested in participating in an immersion, first read the Moreau Center Core Commitments to understand what our programs are all about. How do I apply for an immersion, and who gets selected? Applications for our immersions are posted on our website at the start of the academic year. The applications for Fall Break immersions are usually due at the end of September. Applications for Winter Break, Spring Break and Summer immersions are usually due in October. Applicants will complete the application on Qualtrics. The Urban Immersion during Winter Break is traditionally first-come, first-served. All other immersions usually have a selection process, including an individual or group interview, conducted by the student coordinators. Participants are selected to achieve a balanced, diverse range of ages, interests, personalities, and experiences. Your background will not necessarily make you "more qualified" for an immersion, though we do seek participants who work and travel well with others and who will embrace the values of our programs (solidarity, social justice, community, reflection). Can I go on an immersion with my friend? Our immersions are community-oriented from our first gathering through our return to campus and beyond. No special preference will be given to arrange for friends to participate in immersions together, as we've found that participants can experience immersions more fully and bond with the group more deeply when they are open to building new relationships. Of course, there's nothing wrong with knowing other people on your immersion beforehand, but one of the most rewarding aspects is coming home with a whole new group of friends! If you are selected to participate on the same immersion as a close friend, you will be encouraged to spend most of your time branching out to others in the group. What is the time commitment for an immersion? Each immersion has its own requirements. The commitment can be as low as two or three group meetings before/after the immersion or several meetings a month from November through May. The spring break and summer immersions will all have at least four group seminars tthroughout the year to build community, explore Catholic social teaching, and reflect on how we share our stories. 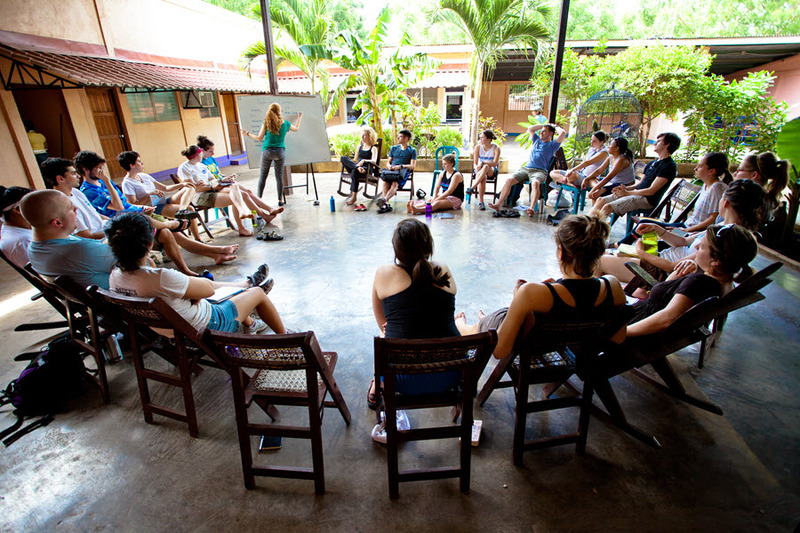 These immersions will additionally host their own educational seminars to prepare participants for the specific issues that they will encounter during their immersions, as well as group meetings and planning for fundraising. How much does an immersion cost? How do I pay for it? The Moreau Center works hard to create access to each of its programs for all University of Portland students. Immersion costs are paid through participant fees and fundraisers. Financial assistance is available. We do our best so that cost does not present a barrier to participation. The student fee is paid by making deposits throughout the year, and flexible payment plans can be established for those who need them. Any fundraiser is conducted for the benefit of the group, reflecting the community-oriented nature of our immersions; all participants are expected to share the workload regardless of personal financial situations. The student fee to participate in each immersion varies each year. This list reflects the fees for immersions that will take place during the 2018-2019 school year. Students will have the opportunity to request financial assistance at the time they apply for an immersion. Participants who wish to discuss payment options or have questions regarding financial assistance should schedule a meeting with Laurie Laird, Moreau Center director. Applicants should know that the Moreau Center, in reflection of the mission of the University, approaches its programs from the standpoint of Catholic social teaching. However, there is no requirement to identify with a specific religion to participate in any of our programs. In fact, we encourage open dialogue and aim to make people of all backgrounds feel welcome and accepted. The discussion of Catholic values and aspects of spiritual reflection will be present in most programs to facilitate each individual's own growth and reflection.